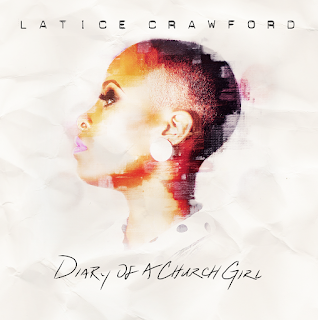 Gospel recording artist Latice Crawford releases forthcoming CD project "Diary of a Church Girl" on May 20. The EP is available for pre-orders on iTunes, Amazon, and Google Play (see links below). "Diary of a Church Girl" will be released via an exclusive licensing partnership with EchoPark ARTS Entertainment and distributed by Caroline Distribution, the Independent Services division of Capitol Music Group (CMG). “Author” debuted on Billboard’s Top Gospel 100 Radio shortly after its release and is quickly moving up the chart. It is also amongst iTunes Top 30 Christian & Gospel Hot Tracks. Best known as the second runner-up of Season 2 of BET’s Sunday Best, Crawford presents "Diary of a Church Girl" as the follow-up to her 2014 debut self-titled album, which entered on four Billboard charts and peaked at No. 12 on the Gospel Albums chart. "Diary of a Church Girl" is written by Crawford and produced by Bruce Robinson (Alexis Speight, The Showers, Justin Bieber, and Brittany Spears). "The Diary of a Church Girl" Promotional Tour kicks off on May 16 in New York City, followed by Rockford, IL (May 21), Chicago, IL (May 22), New Orleans (July 3), Newport, RI (July 16) and Philadelphia, PA (July 27). More dates will be added in the coming weeks, please visit: laticecrawfordonline.com.